Mumbai, Sept. 28 (AP): Bollywood actor Aishwarya Rai will star in a movie by Ben Kingsley on the making of the Taj Mahal, India's famous marble monument to love, a report said on Thursday. The movie is likely to be filmed next year in Agra that is home to the Taj Mahal, The Times of India newspaper quoted Kingsley as saying in an interview. The Taj Mahal, recently voted one of the new seven wonders of the world, was built by Mogul Emperor Shah Jahan between 1632 and 1654 for his favorite wife, Mumtaz Mahal. Soon after its completion, Shah Jahan was deposed by his son and imprisoned at the nearby Agra Fort. Kingsley said his production house was currently working with a scriptwriter on the project. He said Rai agreed to do the movie when he spoke to her during the filming of ``The Last Legion'' - a Hollywood epic about the Roman Empire. 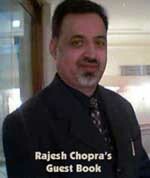 Rai, a former Miss World, is a popular actor who has acted in more than 30 movies. 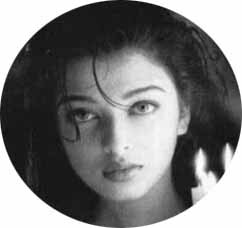 She is one of India's better known faces overseas and has featured in advertisements for jewelry, cosmetics and soft drinks. Kingsley was born Krishna Bhanji in Britain. His father, Rahimtulla Harji Bhanji, was of Indian descent. Kingsley won the best-actor Oscar for Richard Attenborough's ``Gandhi'' in the 1980s. He is well known in India for his portrayal of the independence leader and champion of nonviolence. In his latest movie, ``You Kill Me,'' Kingsley played a hit man being rehabilitated for alcoholism.